A Victoria Birder: Killdeer For The Win! Not words I ever thought I would say, but come a little after 6:00pm on Sunday I was indeed, and I wasn't the only one. Ever since Jeremy G, Russ C, Ian C, and I topped the Canada November Big Day record last year with 122 species, we have been looking for an opportunity to bring down another, and the existing Canadian March record of 105 looked ripe for the taking. Russ and Ian were unavailable, so Jeremy G and I decided to venture out on March 16th to take a run. As per usual, we met at the Langford Tim Horton's for a fuel up before heading into the dark for owls. Between the wind, rain, and running water, owls were a wash, so we headed to Sooke with the hopes of getting a jump on a few much needed species before it was really light. Our first stop was the Journey Middle School field, an area where Greater White-fronted Geese have been consistent. We located Canada Geese and Cackling Geese at the Demamiel Creek Golf Course beside the school, but no others. Driving back down Throup Rd I noticed some shapes in the pre-dawn light, in a field at the corner of Throup and Church. A quick scan revealed Sooke's flock of Greater White-fronts! From there we headed to Whiffin Spit where we added the usuals, as well as Western Meadowlark and Horned Lark! These two great birds have been present for some time, but we dipped on a long-staying Savannah Sparrow. In the intense wind, we also had six Brant being blown sideways over the spit. Sooke kept the hits coming as Billings Spit turned up one, then two, then seven Herring Gulls, much to the amazement of the Jeremies. Billings Spit also provided Barrow's Goldeneyes, and a couple of Eurasian Collared-Doves, a species that has been scarce in Victoria lately. The Goodridge Peninsula added a few more species, and then we turned for Victoria. The Tim Hortons below Skirt Mountain was our next stop, where we added Steller's Jay, Golden Eagle, and coffee. Goldstream Park itself added an easy American Dipper, and a couple of Asian tourists (mother and daughter) that provided our morning entertainment first by taking pictures of us, and then by alternately posing for several shots with us. The Jeremies are going to China! A little before 10am, and we were flying high at 57 species with Metchosin next on the list. Metchosin was a must-have on two fronts. Firstly, our only reliable (and, as it turned out, our only) California Quail of the day were found at the end of Swanwick Rd. Secondly, Taylor Beach is a great spot to scope for seabirds, and it definitely delivered! Red-throated, Pacific, and Common Loons, Horned, Red-necked, and a huge raft of Western Grebes were seen, as well as a few others. Despite the amazing lighting, we couldn't pull a Clark's Grebe out of the raft. On the way back to Victoria we lucked into what we thought would likely be our only Turkey Vulture of the day, hunkered down in a tree, and also a bushel more of Collared-Doves. So much for scarce. The only thing that beats a long-staying Mega on a Big Day is a newly discovered Mega, but in the absence of that we opted to try for the Esquimalt Lagoon Eastern Phoebe. 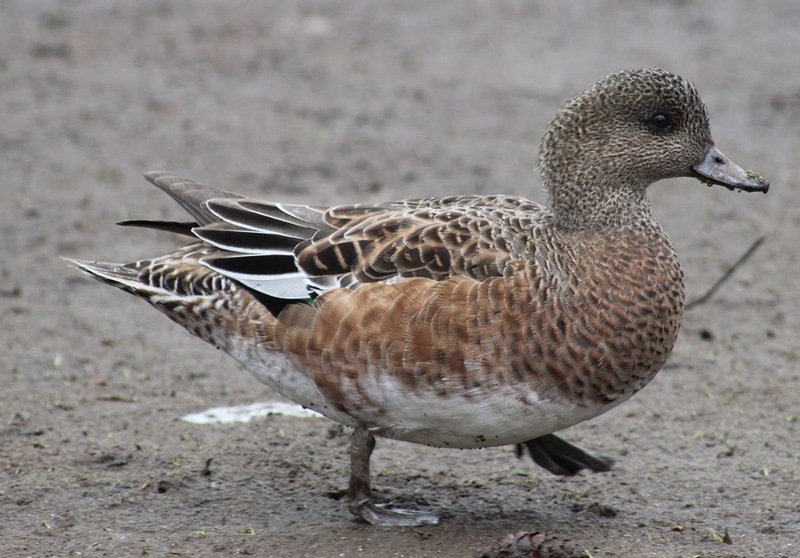 We puddle slogged, we waited, we hoped, and we dipped, but the Aquattro area and Esquimalt Lagoon added more species, including Wilson's Snipe and our only Lincoln's Sparrow, Western Gulls, Common Murre, and Mute and Trumpeter Swans of the day. Oh, and Collared-Doves! 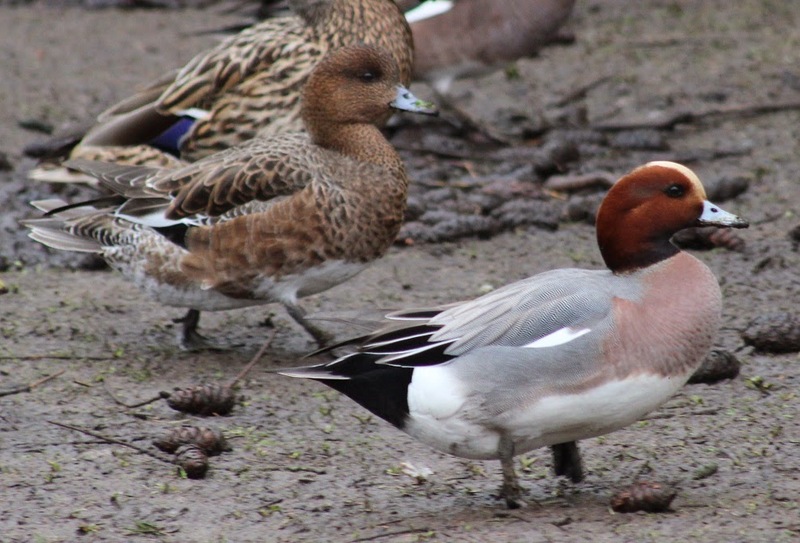 Quick stops at Portage Inlet, Beacon Hill Park, and Clover Point yielded a few adds, the hightlight being three male and one female Eurasian Wigeons. Harling Point, which you can read all about on The Naturalest Naturalist, yielded a Savannah Sparrow and another Herring Gull, plus a few alcids. 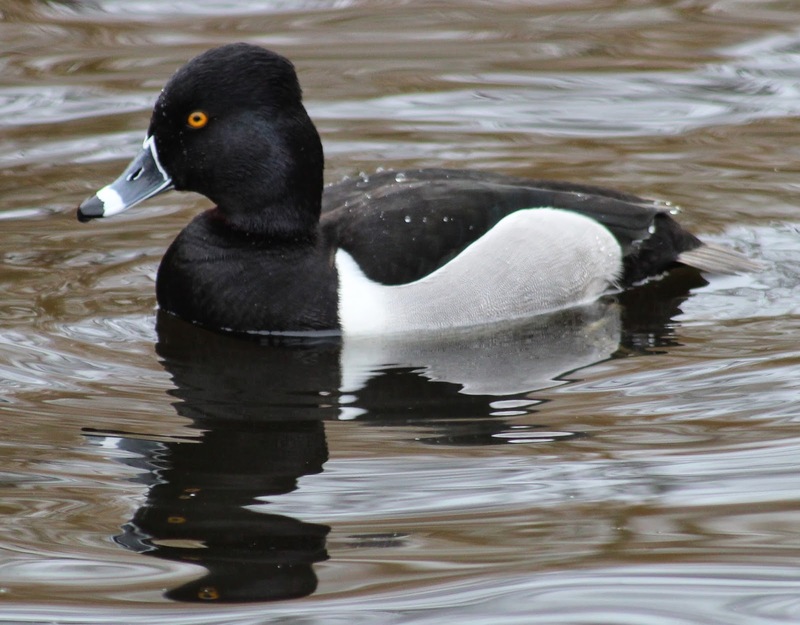 Lacking shorebirds, we set our sights on Oak Bay, with a first stop at Turkey Head and Queen's Park. Much to our dismay, the shorebirds were on a distant isle, and all we could make out were Dunlin and Black-bellied Plovers. The ever-present Surfbirds and Greater Yellowlegs were nowhere to be seen. Cattle Point was up next, and we had no problems finding a large flock of Surfbirds. One or two Rock Sandpipers have been hanging around as well, but we had no luck pulling them out of the mixed shorebird flock. Finally, G called time, and I took one last scan, panning across the rock and wait... what the...... a smaller bird with a longer, down-curved bill popped into view. "G, got it!" I called out, and he came to get his look at the Rock Sandpiper. Tick. Species 91, and what a beauty. 14 to tie, 15 to break! We added a few more species along the water the headed to King's Pond, where we hoped to add a few. 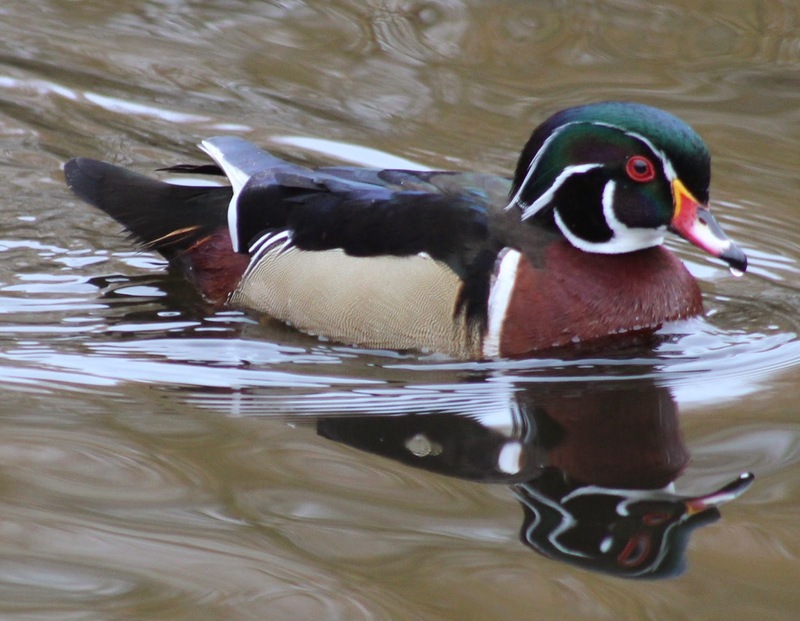 Aside from the sharply plumaged Wood Ducks, we didn't get much, but I did get a little more practice with my new camera, and a 70-300 lens that Jeremy G may get back one day. At this point we were getting desperate for woodpeckers, so after a fruitless search of the Galey fields for Sandhill Crane we headed to Lohbrunner, just north of Blenkinsop Lake, where Jeremy G had Pileated the day before. Twas not to be, but we did add more Turkey Vultures and our first Violet-Green Swallows of the day. Swan Lake added Red-breasted Nuthatch, Yellow-rumped Warblers, American Coot, and Tree Swallows. Species number 100 came at Panama Flats, where we added a pair of Ruddy Ducks! This species has shown at various locations around Victoria this winter, but is never expected. The pressure was on from there, as we were very cognizant of the amount of light we had left. 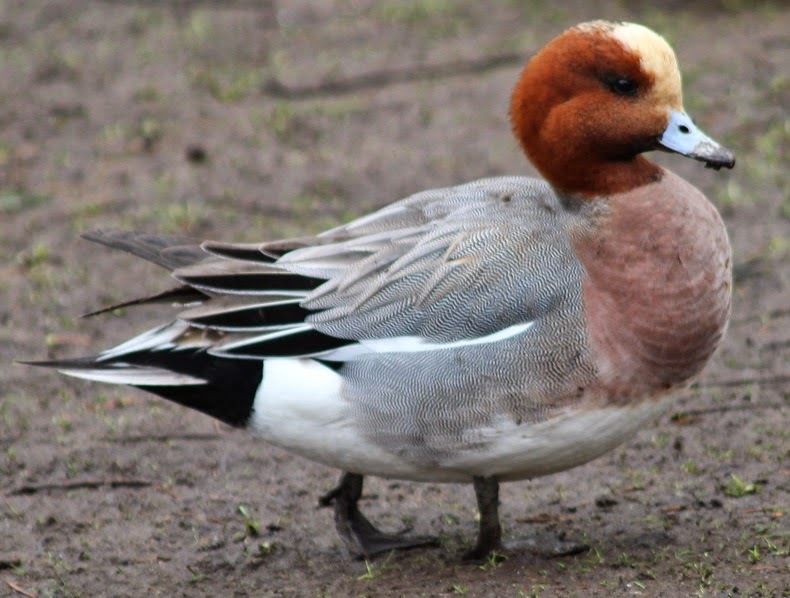 We figured that Martindale Flats would be the area that would add our last six species, as a number of misses have been seen in the area recently. Snow Goose and Thayer's Gull were easy finds in the field south of the Lochside Pig Farm, but we had two frustrating misses in the form of a possible calling Brown-headed Cowbird that we couldn't pin down, and a possible juvie Ring-billed Gull that had enough mud caked on it to eliminate certain identification. Three more Snow Geese were along Lochside between Island View and Martindale, and after a bit of searching a Northern Shrike showed itself along Puckle Rd. 103 species and the pressure was mounting to add a few more before we lost daylight. 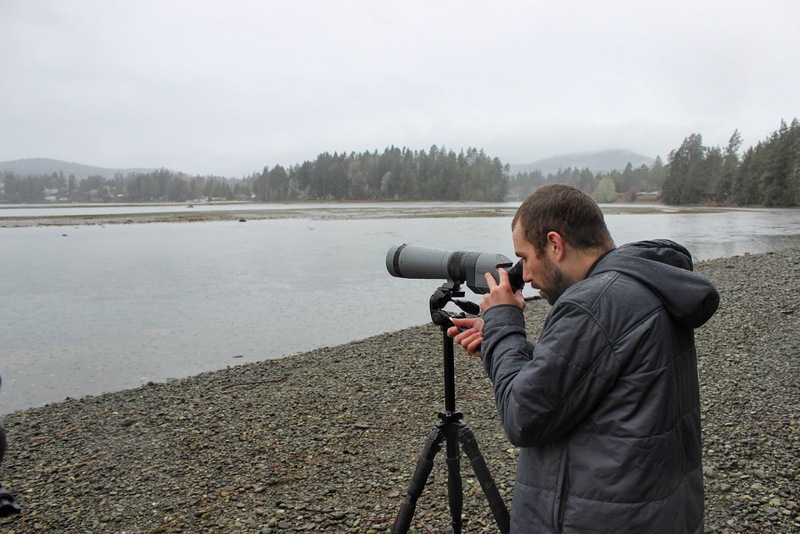 A pair of Black Scoters were visible off of the north end of Island View beach, and we went into panic mode, racking our brains as to what species we could possbily add. A Mourning Dove along Shady Creek tied us up and, minds racing, we headed for the Central Saanich Bulb Fields in hopes of adding Sky Lark for the record. Despite extensive searching the birds eluded us, until Jeremy G suggested checking the lower field for Killdeer. Killdeer? Really? A record broken courtesy of a species we should have added 10 hours earlier? Alright, worth the try. No sooner had we gotten out of the car then a Killdeer materialized against the dirt field, followed by another. Record ours! A further search of these fields failed to turn up anything new, and we headed out to Brentwood Bay and Gore Park in search of the Hairy Woodpeckers and Purple Finches that Jeremy G had found there the previous day. We dipped on both, and light faded to dark while we stopped at various locations to listen to the dusk chorus. With the record in hand we cruised along Willis Point Rd, and stops produced Barred and Great Horned Owl, but none of the much hoped for smaller owl species. C'est la vie. With the many misses on the day, there is a lot of potential to top this high mark by a fair margin, so perhaps we will have to try again next year. In the meantime, there are a few other months that have BC or Canadian Big Day records just begging to be topped. If you are up for it, come along for the 15 to 24 hours of the most fun you will ever have with a pair of binoculars! It has been an amazing bird year so far for me, with Hooded Oriole and my lifer Dickcissel up island, my lifer Thick-billed Murre in Westport in January, and the exciting Pinteal Chase in Nanaimo. While I wonder what will be next to show up on this little rock of ours, I am headed to Cancun at the end of next week, and will be spending a couple of nights away from the resort searching for birds in Rio Lagartos, Coba, Tulum, and others. Stay tuned for a report, and good birding to all!